Dr. Sukhjit Kaur is a Diplomate of the American Board of Pediatric Dentistry and has been practicing pediatric dentistry for several years. Working primarily with children, Dr. Kaur is renowned for her caring compassionate nature, and combined with her education and experience, she provides personalized dental care to address each child’s unique and individual needs. 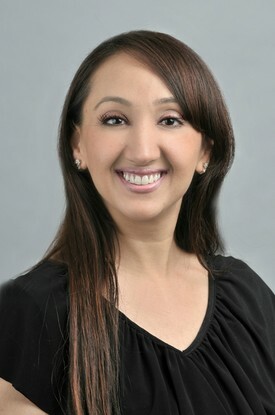 Dr. Kaur is a graduate of the New York University College of Dentistry. She continued her education by completing a General Practice Residency at Staten Island University Hospital, in New York, where she was trained to work with both medically compromised children and adults in a clinical and a hospital setting. Her desire and interest to continue to work with children lead her to specialize in Pediatric Dentistry. As such, in 2006, she completed her specialty training at Staten Island University Hospital, during which she was awarded a specialty certificate in Pediatric Dentistry. Dr. Kaur was also awarded the resident of the year award, one of the most prestigious awards given at the Hospital for her outstanding leadership qualities, research in emergency dental trauma, patient care, and a desire for professional distinguishment. While maintaining a private practice, Dr. Kaur continued at Staten Island University Hospital as an attending clinical professor. She taught pediatric dental residents didactic and clinical skills, as well as course work in the creation and maintenance of a private practice. In addition to her education, to further assist patients in all walks of life in oral health care, Dr. Kaur established a Head Start Dental Home program with the South Jersey school system. As both part of the board and a team leader, part of her responsibilities were to collaborate with other members of the professional health community, in the development and implementation of this program. She gave numerous presentations to both children and parents alike; and as a result, received numerous accolades, including the Sun Catcher award from South Jersey Hospital for establishing and implementing complete oral rehabilitation program for pediatric and medically compromised patients. Dr. Kaur’s education and experience has led her overseas; namely to Bangladesh where she went on an oral health care mission with non – profit organization called Smile Train, in order to care for patients with facial deformities and oral pathology. Dr. Kaur brings to her current pediatric practice, Smiles for Life Pediatric Dentistry, in La Grange, Illinois, the accumulation of her aforementioned professional wealth of experience and knowledge. Dr. Kaur’s mission is to educate both parents and children about preventive dental care. She stays up-to-date on the latest advances in dentistry by attending continued education classes and by being on medical staff at both Adventist Hinsdale Hospital and Adventist La Grange Hospital. She also holds distinguished membership in the American Academy of Pediatric Dentistry, American Dental Association, Illinois Society of Pediatric Dentists, Chicago Dental Society and Healthy Smiles and Healthy Children. Furthermore, as a mother herself, Dr. Kaur recognizes that each child has different needs, and she prides herself in providing the highest quality of dental health care while doing it in a fun and loving environment.